Big Data and More Show Stuff! As the weeks pass after a show like the recent APEX in Singapore, it is easy to start thinking about the next one; however, IFExpress will try to continue to cover some of the more important show participants and their new products, accomplishments, and sales. Importantly, a post show head cold and a recent election has caused focus issues in the past few weeks, but we are now in better control and we will start off with one show item that keeps coming back to haunt us – the concept of aircraft and Big Data. While IFEC is not the whole story, it is part of the issue, and over the last few weeks we have been doing our homework a bit on the subject. The folks at companies like Panasonic, SITA, Thales and many others have been chanting the “data” subject into our ears at each meeting – we really have been trying to understand the problems and potential solutions – and believe us, it is no easy subject, with few easy answers. A number of years back, Mark Thompson of Thompson Aerospace warned us of the impending data monster we were about to see but we had little idea at the time of its value and challenges. This data thing is not new but it is getting bigger! Looking back to the late eighties, we saw a document developed about the importance of airplane data, in general, and how McDonnell Douglas was looking at the future of its importance in tying an airline together by connecting the “movable asset” back to the airline itself with the one connectivity-based solution available at the time – live, real-time data. Back in the day, the connectivity links were minimal but the requirement was still there. Today, it is a cry that still is the important connecting piece of the airline business, but it is getting louder. However, we note, now it entails better connectivity, more information, passenger involvement, better worldwide connections, and generally more need for planning and action throughout the airline and passenger environment. Perhaps a computer programmer said it better than we could: “You can have data without information, but you cannot have information without data.” – Daniel Keys Moran, an American computer programmer. Further, when you have 30 $250 million dollar assets buzzing around the world, data is the only way to see at any point in time, how your assets are delivering profits or losses. 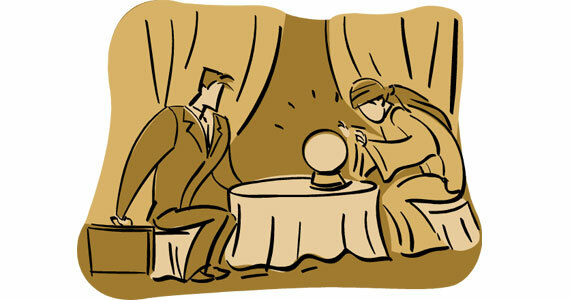 Further, it is a way to see what your customers are needing, in real-time. We understand that we will not cover the issue in one IFExpress, and to that end, we have a few future interviews planned with IFEC companies and you will have the opportunity to see a bigger picture from them in the coming months. And speaking of ‘seeing the data’ issue, we really owe the folks at SITA a pat on the back for they have been trying to educate us on the value and need of standardized data. With the growth of passenger data needs, the subject of data will become even a more important technology as time goes on. In SITAONAIR’s white paper published during the show, they noted that passenger connectivity is still the key motivating factor with airlines for adopting the service. Some 48% of their list of airlines in their study see it as the main passenger experience benefit. However, now some 20% of the airlines involved saw connectivity as a pilot and cabin crew enhancement driver, with some 15% seeing value in maintenance and ops monitoring. 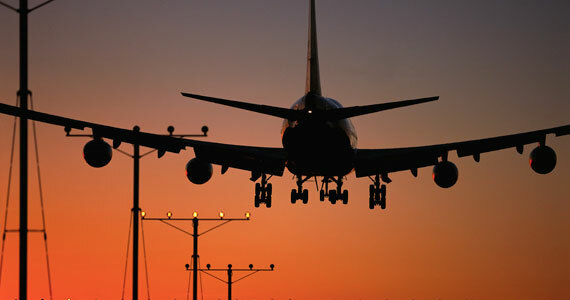 While a low number of planes today are outfitted with connectivity solutions, SITA expects three quarters will have some connectivity by 2017, and the big solution will happen by 2020 and some 12,500 planes will be so modified. One big issue, notes SITA, is the lack of commonality or common standards in the aircraft data itself. Why is this important? We see it as a way to allow more entrants in the IFEC industry, more participants in the data business, more uses of the data itself, and a solution that becomes a standard where and when more people use it. Lest we forget, big data probably also means big bucks! If you want to see an example the application of common airport standards you might want to check out SITA’s AirportConnect Open. Another area is the type of data from the various sources and its utility and application. The folks at Panasonic can see the data future and they call it “Big Data”. They envision the application of ground and inflight data as well as a lot more data applications from many sources – but we will have more on this subject in the future. We should also note that Thales has their version of big data and they are using their InFlyt Cloud for similar data solution for airplane data, metadata and big analytics. However, the message to folks in this business is perhaps, just perhaps, that the IFEC world might just be a smaller part of a bigger aviation world that uses data. It is a solution for bigger problems and future analysis – all way beyond IFE companies just selling hardware. Just possibly it may be the next generation of understanding about airplanes and passengers and the world of flying assets that are moving thousands of miles away from the home offices with hundreds of passengers all going to different places for many different reasons. Big Data has a future value that we don’t even understand today! To make our point about where this is all heading, here is a very recent news release from Panasonic Avionics about their next generation of data connectivity solutions and it points out the widening of the acquisition of data sources sets the wider data picture being viewed by IFEC vendors. Said the release: ”The technology will enable the next generation of connectivity services to the aviation industry and multiple other markets.” The release went on: “Panasonic Avionics will implement Ericsson’s 5G-ready core solution through its subsidiary AeroMobile, a global inflight connectivity provider and registered mobile network operator. The contract is the first step of a long-term strategic collaboration between the two companies, which will focus on areas like 5G and the Internet of Things.” It went on: ”Panasonic Avionics can apply the 5G-ready core across a wide and ever-expanding range of markets, enabling connectivity for users not only onboard aircraft and ships, but also for the huge Internet of Things communication.” IFExpress notes the 5G is touted as the next generation of mobile technology because it “has the capability to radically lessen latency, accelerate download and upload speeds, enhance network reliability and spectral efficiency.” With this data, they also have the potential to support IoT development, by considerably escalating the number of devices that can connect to the network simultaneously.” Get the data picture? Stay Tuned on this one, soon we will talk more about data standardization and future data applications. We like it when two companies in our industry combine their thoughts to develop a better product offering. We saw this during APEX Singapore this year when digEcor, in conjunction with partner IFPL, unveiled their GLIDE inseat power solution on AirAsia’s A320neos. The development effort was a collaborative one between digEcor, IFPL and Miras Aircraft Seating. The deal with AirAsia totals 55K seats and because AirAsia is a low-cost carrier they required a low-cost solution. This makes sense since inseat power is more and more significant as passengers are bringing their own devices onboard and the system is Wi-Fi driven by the onboard inflight connectivity. In fact, many LCCs are now looking to Wi-Fi for their IFE solution. From a hardware perspective, IFPL’s USB outlet is backlit and we understand that when power is available the unit is lit, making it easier for the passenger to find on the seat arm. If you are interested, we’ve attached images of the seat arm with the IFPL USB outlet and digEcor’s SEB! Qatar Airways has implemented AeroDocs software from Arconics, a ViaSat company, to provide a single centralized repository to revise and track all operational and non-operational company manuals and documentation for operational readiness. The ability to create, author, edit and mark all changes in a visible manner over the web enables team members to easily keep abreast of, and be alerted to, relevant procedural modifications as and when they happen. Heard about Media Box? The Media Box, which Media Carrier offers as an exclusive service to tourism companies in particular, operates as a web-based service and can be easily and conveniently used with any web-enabled device. To download their preferred business magazine or their usual morning paper, guests connect to the Media Box of the airline or hotel and gain access to their own personal reading material. Newspapers and magazines are presented unabridged and in the same layout used in the print versions, and can be browsed through easily and intuitively – check out this image. Even after downloading, the downloaded publications remain available to the reader for an unlimited time. 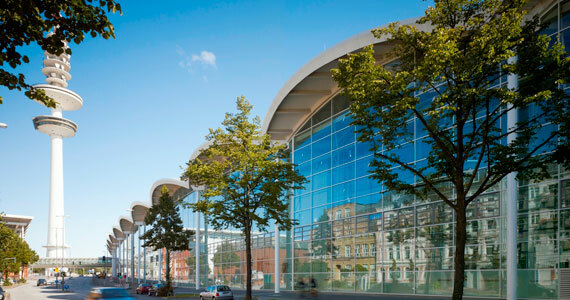 Established in 2011, the company is a subsidiary of the Munich-based MELO Group, whose central divisions are built on the two pillars: media and logistics. 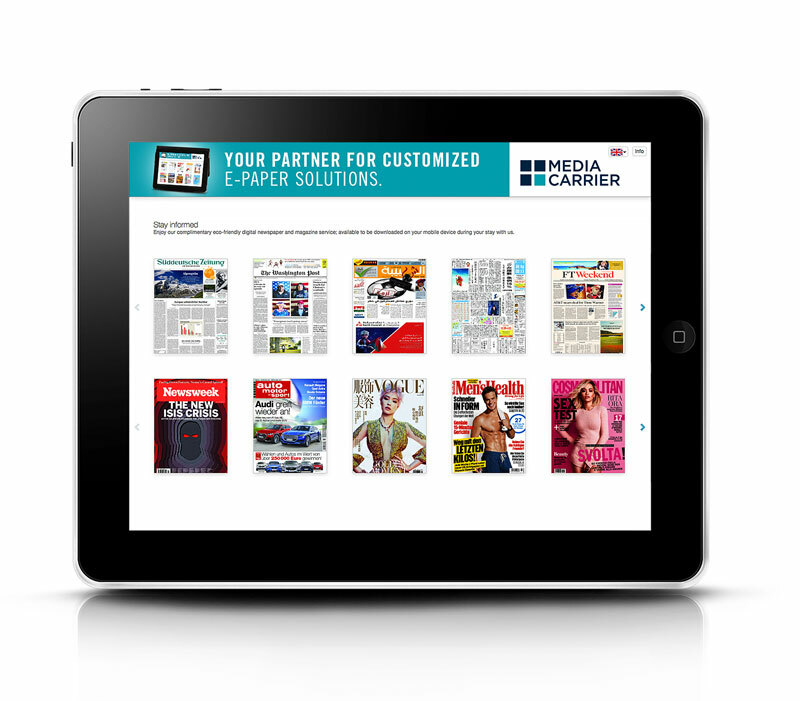 Media Carrier specializes in marketing and distributing digital content. It supplies the travel industry with e-papers through the Media Box. The digital media library is now successfully deployed with e.g. Lufthansa, Austrian Airlines and Eurowings as well as in more than 1,000 luxury and five-star hotels worldwide. 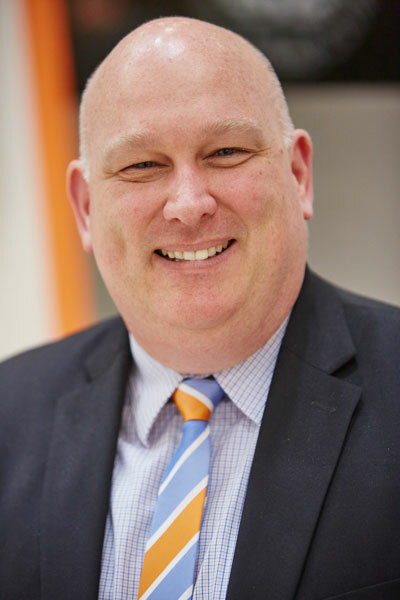 Paul Forbes has been appointed as the new VP Operations for global IFE provider digEcor effective immediately, based in Brisbane. Brisbane Australia | October 19, 2016– digEcor is delighted to announce the appointment of Paul Forbes as VP Operations. Forbes will be based in the Australian head office in Brisbane, Queensland and will be handling all operations management across the digEcor network. Paul began his aviation career with Contour (now Zodiac Aircraft Seating) in the UK early 2000 and has since held Operations, Engineering Programme, Project Management and PMO roles with Airbus, Jet Aviation and UTC Aerospace. Subsequent industry experience includes Infrastructure, Automotive, Defence, Electronics and Telecom markets. In addition to Paul’s mechanical engineering and software development background Paul also has significant experience in manufacturing. digEcor’s partner company Microair Avionics, an avionics design and manufacturing specialist based in Bundaberg Queensland is also included in Forbes remit. “With exceptional qualifications and demonstrated success Paul is a great asset to the digEcor group. His extensive relationships in the industry with OEMs, MRO, vendors and airlines alike strengthens our commitment to the industry and we look forward to having Paul continue his success at digEcor and Microair”, comments David Withers, Chief Executive. Forbes commented, “I am excited to be joining such an excellent team and look forward to bringing my experience to help grow the business globally, such opportunities are rare and although I expect it to be a challenge, I have an existing team with the expertise and knowledge required to make it successful”. Jorge Mompo has been appointed as the new Director North, Latin America and Caribbean Sales for global IFE provider digEcor effectively immediately, based in Utah. Brisbane, Australia | September 12, 2016– With over 30 years in the aviation industry, Jorge Mompo has joined the digEcor team as the new Director North, Latin America and Caribbean Sales. Mompo will be based in the America’s office in Springville, Utah and will be handling all Sales and Marketing activities in the Americas’ region. Jorge began his aviation career in the areas of Business Aviation Technical and Support, subsequently moving into IFE where he held diverse Engineering and Sales & Marketing positions in companies including Sony Trans Com, Panasonic and Lumexis, serving mainly the Americas. In addition to the Commercial Aviation industry, Jorge’s experience also covers endeavors in the Broadcast Television and Digital Cinematography industries where he managed Sony’s business development for Latin America. Jorge Mompo can be contacted at jorge.mompo(at)digecor(dot)com or +1 (801) 691-7257.
digEcor: New Concepts, New Company, New CEO – David Withers! Perhaps in summary, the digEcor company is summed up in three words: Integrated Flight Experience. digEcor is redefining the expression “IFE”. Their entertainment solutions, power, LED lighting and connectivity for customers and crew is redefining the integrated suite of products that extends the company portfolio outside the realms of IFE only. And this is what new digEcor CEO and Managing Director David Withers (2 years now) told IFExpress recently at an industry trade convention and what he told us here is for our readers evaluation. Make no mistake, David is an ambitious guy, and his personality and drive will be expressed in the products, service, and the philosophy of the “new” digEcor heralding a new era for the company and setting them up as a key market player for years to come. Let’s look at the three pieces we mentioned in our Hot Topic title separately; New Concepts, New Company, and the New CEO, David Winters. First, the issue here is NEW Concepts, or new products, which we note include new ideas on new products and new features on existing ideas/products. We contacted the company for help and they gave us a “running” description that we include for your edification. Readers note that digEcor rents L7 portable media players for a low all inclusive daily rate, provides all the required hardware, content and a perpetual warranty. Every 60 days the players are swapped out with a fresh set containing updated content. And finally IFExpress should mention a bit more about the NEW CEO David Withers. David founded digEcor’s parent Total Aviation Solutions in 2009 and has over 25 years’ experience in the aviation industry. 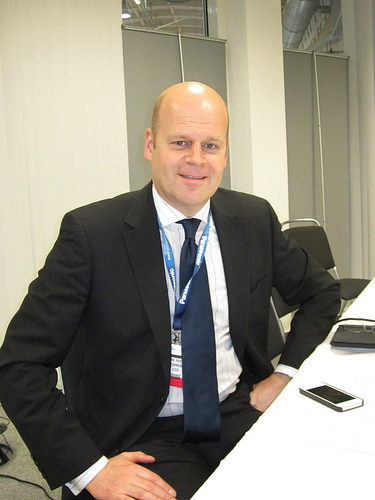 He is a former President of Boeing Australia and was the Asia Pacific Managing Director for Smiths Aerospace (now GE Aviation) after completing his time with Qantas Airways. David has a Masters of Business Administration, an Honors degree in Communications Engineering, trade qualifications in aircraft maintenance and is a commercial pilot. He is a fellow of the Royal Aeronautical Society, the Australian Institute of Company Directors and the Australian Institute of Management. From the IFExpress perspective, it is obvious that David is passionate about building great businesses based around great teams, with great products… and all focused on delivering value to customers. Cliché? Perhaps, but it is what drives him… and he is driven. In the two years since acquiring digEcor he has brought to market a huge range of new cabin technology products all designed for a new and better passenger experience. Utah | April 15, 2015– Always seeking ways to improve the passengers’ experience, a new feature of digEcor’s crew connectivity application “Engage” and inflight entertainment system “Glide” is set to shake up the way content is presented and accessed at each customer seat, individualising the inflight entertainment customer experience. By merging the functionality of digEcor’s seat-centric Glide system and its Engage crew connectivity application, recognition of the individual customer’s entertainment preferences will be used to customise the IFE GUI based on the historic usage information of the customer, across all audio, movie, short feature and games hosted content. “It’s an exciting new interaction between our products, which delivers first-class service to every customer,” said digEcor CEO David Withers. digEcor’s personalised inflight entertainment service works by capturing information about the customers past viewing choices and linking with the airline held CRM data which in turn is used to customise the GUI to present the most watched content in advance of other options. digEcor is an established and trusted industry partner that fully supports the design, implementation and operational requirements of its ‘IFE – Integrated Flight Experience’ solution by providing end-to-end expert advice and 24-hour-a-day technical support. Utah | April 16, 2015– digEcor is pleased to provide its L7 digEplayer solution to Brazilian carrier, Azul and Minneapolis-based Sun Country Airlines. Its agreement with Azul to provide 1,100 L7 portable digEplayers also involves the provision of maintenance support and content integration services ensuring the airline can offer its passengers movie, television and audio programmes from all the leading Hollywood studios and independent distributors. digEcor rents L7 portable media players for a low all inclusive daily rate, provides all the required hardware, content and a perpetual warranty. Every 60 days the players are swapped out with a fresh set containing updated content. In further news, digEcor is very happy to be working closely with our valued customer Sun Country Airlines, who are bringing 700 portable L7 digEplayers back into service on all of their schedules services. Last time we talked a bit about the aviation future based on recent activity at Farnborough and thus this week we thought it would be interesting to get a personal take on the aircraft interior. Rich Salter, Lumexis’ CTO, had this to say: “Though we chose the name “FTTS Second Screen™” it also means “multi-screen” because that’s where the consumer and the technology is heading: to multiple screens in the home, office, and on the road as well. Today’s traveler wants to multitask on his/her larger embedded screen, laptop or tablet, and smartphone. But tomorrow’s generation (i.e., our young kids today) are even more into social networks and communicating (i.e., texting, tweeting, and posting photos) whenever and wherever with their friends and business groups alike – they are already adept at using multiple screens and running the app that runs best on each screen. For high res movies, an embedded screen with fiber optic interface will always provide more capacity than streaming wireless to handheld PEDs, because no matter how much bandwidth the latest wireless standard provides, there is always another generation of higher resolution video content coming along (i.e., HD, Ultra HD (4K), 8K, etc.) that needs even more bandwidth (i.e., a bigger “pipe”). The fiber network (like the one to many homes today) enables the HD content to all the seats in the plane, and the future technologies for embedded screens will allow them to be thinner, lighter weight, and lower cost, with higher resolution and more touch gesture control and other human interfaces added. As for passenger-owned devices, there’s going to be many screens brought onboard to compliment the main screen and make up the whole IFE system of the future. For example, “wearable technology” is now really beginning to gain momentum – I would not be surprised to see small flexible video screens begin to show up on the shirtsleeves of passengers just like the Apple iWatch and Google Glass are now creeping into our lives. During this year’s Academy Awards telecast, U.S. TV network ABC made major advances in second screen by including an enhanced viewing experience in its “Watch ABC” viewing app, said Childers. Users who opened the “Watch ABC” app during the Oscar telecast were given the option of going “Backstage”—sponsored by Samsung Galaxy—to enjoy a number of “companion experiences” that included video clips of the arriving stars, live camera feeds from alternate locations, and different camera feeds of the red carpet. Oscar host Ellen DeGeneres set a second screen record by tweeting live during the telecast, including the famous selfie centered around Meryl Streep, said Childers. Of course, live events and sports lend themselves to multiple screens, but what about second screen content in pre-recorded content and IFE? “Second screen has come to the movies,” says Childers. “Last year Dutch director Bobby Boermans incorporated a synchronized second-screen app in the storyline of his movie, appropriately titled App. Moviegoers were asked to download a free app before going to the theater, and were advised to leave their devices on their laps while watching the film. When second screen content was available, members of the audience were by their vibrating phones,” he said. There were 35 moments in the film where second screen content enhanced the viewing experience, but the movie was complete on its own for viewers not interested in carrying their PEDs into the theater. The app for App utilized embedded watermarks and a digital watermarking technology from Civolution that was developed to prevent illegal downloads, said Childers. More and more films are being made with second screen content, or just frame-specific metadata that can be used to create a second screen experience, said Childers. “With more and more people bringing smartphones, tablets and notebooks onboard, there are many new opportunities to use these devices to complement and enhance the IFE,” he said. Disney has been very active in second screen linking the movie to the viewer’s device through an audio cue, manual synch, or with a visual sync indicator. Disney released a second screen version of it classic Bambi on its Diamond Edition Blu-ray Disc back in March of 2011. Devices such as Kindle Fire HD 2nd Generation, Kindle Fire HDX, Amazon Fire TV, PlayStation 3, and PlayStation 4 are all equipped with a second screen window that opens an Amazon Instant Video app, but second screen isn’t just limited to those devices, says Childers. So there you have if from the experts’ mouth, but if you want a good second screen infographic, check here. Be sure to remember that Disneyland is nearby! The folks at digEcor have a new President of Europe, Middle East, and Africa, Mr. Paul Thorpe. He will call the United Kingdom his home and direct activities from there. His background includes a stint in sales and marketing n the business aviation world, and management roles in aviation and IFE. His last posting was with Rockwell as Sales Director of Northern Europe. Welcome aboard Paul! And lastly, Gogo announced recently that it has received regulatory approval to provide Ku-band satellite connectivity service for aircraft flying over the eastern and western regions of Russia. This approval is granted based on Gogo’s agreements with AltegroSky and RuSat to provide Ku-band satellite service. It’s That AIX Time of Year: April 8 – 10! It’s no secret that AIX is the worlds biggest Aircraft Interiors show (perhaps up to 10,000 visitors this year) and we wanted to give you a quick look at a few show-goers who have contacted us with booth and product information. Of course IFExpress will be there searching for new products and product improvements, new services, and interviews with the folks who bring you IFExpress. You can reach us via email: plwiseman@gmail.com, Mobile/Text: +1 206 229 7899, and we will have the Fire Chat app turned on (TerryW). ACS will feature IFE Displays (10.4”-65” and 9.7”) as well as their recently patented 12” Retractable monitor at AIX this April. Additionally, ACS is collaborating with TEAC during AIX. TEAC is introducing their new video player at the Expo. The Armstrong Aerospace PowerBox™ and PowerBar™ are revolutionary off-seat power solutions that are available today. PowerBox™ and PowerBar™ attach to the floor seat tracks and do not touch the seats they are installed to support. This greatly eases the installation and risk for upgrading your cabin, and it ensures no new seat TSO activities or seat recertification efforts are required. PowerBox™ and PowerBar™ are capable of being used with any outlets and electrical distribution on the market today, making them the most flexible for installation. The simplicity of this design ensures they can be installed rapidly, typically in less than one day for a narrow body, and two days for a wide body. The Armstrong Aerospace BirdStriker™ is the bird deflector device that is available TODAY to meet your bird strike certification needs. digEcor provides a low-cost, end-to-end cabin technology and inflight entertainment solution by specializing in personal media and AVOD platforms, mobile cabin crew applications, and being a global content service provider. We’ll be showcasing the GLIDE IFE embedded system, the next generation of digEplayer, Engage mobile cabin crew and passenger experience solution, as well as in seat power and the latest content services. Our focus is on increasing traveler satisfaction while creating easily executed customized solutions and generating ancillary revenue for clients. We are enabling airlines to create extraordinary travel experiences. IFPL will be showcasing their latest designs at AIX 2014 and will be demonstrating how you can BREAK FREE, CHARGE, PAY UP and GO! IFPL is an established design and manufacturing company well known for its industry standard IFEC products. Their success is built on meeting passenger needs for multi-media connectivity and reliable access to the in-flight entertainment. BREAK FREE! IFPL’s Breakaway Jack solves the problem of broken headphone plugs. Leading on from the Single Pin Jack, the Breakaway Triple Jack (1272) is an exciting new concept for use with powered noise cancelling headsets. The use of the 1272 Triple Jack requires no physical modification to the seatback. CHARGE! IFPL have listened to their customers and are pleased to present a Stand-Alone USB outlet that will provide 2A output. PAY-UP! IFPL’s Contactless Retail System uses NFC technology to allow passengers to pay using their contactless card. This payment system has shown an increase of up to 15% of sales in the vending market. GO! IFPL’s Self-Testing jack enables quick and easy visual system audio check, verified with just a glance. Inmarsat will talk about the developments in its global satellite services, in particular with GX Aviation developments. KID-Systeme will be exhibiting at this year’s Aircraft Interiors Expo in Hamburg, from 8-10 April 2014, to demonstrate its two ground-breaking cabin systems: SKYpower, the internationally trusted seatpower system, and SKYfi, a revolutionary modular onboard connectivity platform. With a new design and an innovative product development, KID is looking forward to welcoming their customers on their booth in hall B6. Lufthansa Systems will be showcasing additional new products for its award-winning infotainment platform BoardConnect, presenting the solution as a fully-featured integration platform for the first time. Visitors to the company’s booth will be able to experience the user-friendly, versatile and innovative IFE solution using their own tablets, smartphones and laptops – as they would do on board. The appropriate apps for Android, iOS and Windows 8 are available for downloading from the app stores. New features like chat, an online shop and a moving map with points of interest (POI) on different topics will add even more variety to the passenger’s in-flight experience. Passengers can find out about events taking place at their destination, obtain a restaurant recommendation, and even make a reservation online (via satellite, for instance). The BoardConnect platform’s content caching service maintains popular sites on the server, which not only speeds up access to these pages but also saves the airline expensive satellite bandwidth. The new, easy-to-use, fast and automated Cabin Data Loader takes care of monthly content updates to the on-board servers and the latest LTE technology ensures speedy daily updates of dynamic content such as news and newspapers at speeds of up to 100 Mbps. Other new hardware components to be shown by Lufthansa Systems will include the on-board Wireless Access Point developed by Lufthansa Technik, which supports 802.11 ac (the fastest current Wi-Fi standard) as well as delivering high-definition video throughout the cabin. LUMEXIS FTTS IFE Systems – Best By Every Measure – Lightest Weight | Greatest Capacity | Highest Reliability. We invite you to visit Stand 6E40 during the 2014 AIX and allow us to demonstrate why FTTS has become the benchmark for the entire IFE industry. Please do not hesitate to contact me to make an appointment or to request further information. Looking forward to seeing you in Hamburg. OnAir will be discussing its latest deals with airlines, as well as looking to the future of inflight connectivity, as it begins to include cabin crew, cockpit and airline operational applications. At Aircraft Interiors in Hamburg, Panasonic will be showcasing the breadth of its IFE offering on its stand, demonstrating embedded and wireless IFE systems, and its award-winning Global Communications Services inflight connectivity offering. Panasonic will be making a number of announcements at Aircraft Interiors, with several relating to the breadth and depth of its uniquely global satellite network. With 40 years of experience as a Content Service Provider (CSP) Stellar’s focus is to work with Airilnes to understand the myriad of options in IFE, especially in regards to Tablets, streaming and connectivity. Afterall, Stellar Group was the first CSP to secure content onto iPads, as well as, the first CSP to secure content via wireless streaming. 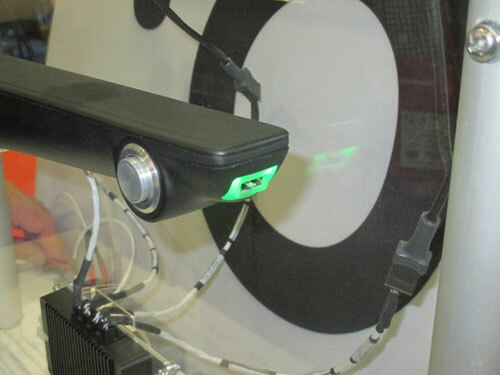 During AIX 2014 Telefonix will showcase products in 3 primary categories: 1)Passenger experience products, such as Passenger Control Units, Entertainment and Connectivity Hardware, which includes media loading devices, aircraft servers, etc. 2) Their CWAP design 3) And finally, in conjunction with their partner company Product Development Technologies (PDT), custom product design services. Miltope’s family of network products offer the required functionality necessary to create custom airborne networks similar to how office networks are created. Our products optimize the combination of interfaces and computing resources to meet operational, spatial, and functional requirements of simple to complex airborne systems at minimum cost. Products include servers, Ethernet switches, wireless access points, TWLU aircraft to ground wireless link, control panels, and data storage devices. This year we will be featuring our latest wireless products, nMAP2 (wireless access point) and cTWLU (cellular ground link). Zodiac Inflight Innovations (formerly The IMS Company and TriaGnoSys) has been providing innovative solutions for the aviation industry for decades. Our business strategy can best be described as RAVE (Reliable, Affordable, and Very Easy). Already famous for our reliable passenger-centric embedded AVOD system (RAVE), we have recently expanded our product line to include connectivity features. Zii offers RAVE Wireless, a streaming IFE solution that lets passengers enjoy entertainment streamed directly to their personal devices. RAVE Cellular allows passengers to use voice, SMS and data services on their phones, which are billed directly to the passenger’s own mobile carrier. With RAVE Broadband, passengers can stay connected in the sky with unprecedented Ka-Band connection speeds. With this full line of IFEC product offerings, Zii uses a modular concept allowing customers to pick and choose which of these features are most important to them and their passengers. RAVE has had much success in the retrofit market and is currently making great progress toward line fit offerability at both Airbus and Boeing. Editor’s Note: We usually put these notices at the end of our Hot Topic but this week we wanted to let our readers know that while our “Readers Predictions” are in the forefront we have a really interesting paper from Dr. Junkang Ma of CETCA fame. Dr. Ma put together an interesting piece on the inflight connectivity market in China… with an even more interesting solution to the problem of airline-ground interoperability – think SIP! Be sure to check it out. “There will be a big shift away from brand name portables to portables specifically designed for inflight use.” Attribute prediction to Josh Rasmussen, digEcor. “With increased gate-to-gate PED use, the demand for seat power will increase tremendously on regional aircraft.” – Mr. Mark Milauskas, Armstrong Aerospace Inc.
“ The demand for streaming IFE over Wi-Fi will see the highest increase in customer demand and force the movie studios to implement an encryption process to allow for early window viewing.” – Mr. Todd Hamblin, Global Aerospace Design Corp.
“By the end of 2014, a bird strike compliance path will be forged and system providers will begin installing IFE satellite antennas again.” – Mr. Mark Milauskas, Armstrong Aerospace Inc.
“US airlines will not allow inflight mobile calling because of the feedback from their frequent fliers and flight attendant unions.” – Mr. Todd Hamblin, Global Aerospace Design Corp. 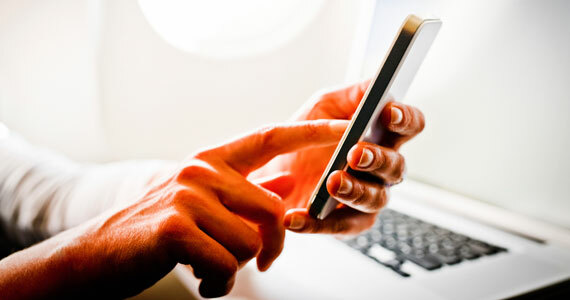 In the US, at least one airline will “test” the applicability of inflight cellphone calling. Prediction: Yes, I expect a small number of U.S. airlines to permit inflight cell phone calling. Furthermore, I expect the first airlines to allow inflight cell phone calls on short-haul flight, flights of two hours or less. The first to test the cell usage issue will either be a.) an independent Regional Operators, such as Mesa, Republic, and Nantucket, or b.) Regionals affiliated with a Major Carrier, such as American Eagle or Jet Blue. The first set of carriers found in a.) above will figure that their flight operations are short haul and the “obnoxious factor” is mitigated by the short duration of the flights as well as being affected by the higher ambient noise on RJs. The second set of carriers, those associated with a Major Airline( (b.) above), will see a competitive advantage in and out of the Major’s hubs as well as being a guinea pig for the major carrier to assess passenger acceptance. Longer range prediction: Carriers will NOT create a cell-phone usage section, like the old smoking section. Too much policing by the flight attendants. Carriers will initially allow cell phone usage on short-haul, high density routes. Think SFO-LAX or LGA – DCA where the clientele is largely business based. I see cell phone usage to expand to a flight duration-based judgment and to have a cut-off point at two hours. 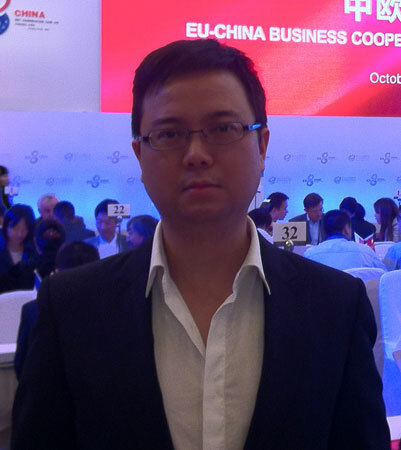 While predictions seem to have taken center stage in this IFExpress, we have been working with Dr. Junkang Ma, a brilliant Program Manager at the Chinese avionics manufacturer CETCA, and he has put together a very good vision of the developing Chinese inflight connectivity market for us. Here is a bit of the story: “In December 2013, the MIIT of China (Ministry of Industry and Information Technology) released the 4G frequency license to the three government-owned telecom operators (China Mobile, China Unicom, and China Telecom), establishing that the Telecom industry of China has officially entered into the 4G generation, beginning from TD-LTE, although 3G has only been used for around 4 years in China. While the ground-based Telecom industry is rapidly developing, one large area in China appears to be forgotten – the area in the air. The cabin of the civil aircraft has become the last “isolated island” of the information age, which makes the passengers on board feel like being back in the early years of the 20th century. The Chinese civil aviation market is experiencing accelerated growth and as more travelers are flying, passengers require a similar communication experience like they enjoy on the ground, which will result in an accelerated and diversified growth phase for China’s connectivity market…” You can read the whole story here . And lastly, A large French IFEC company is looking for engineers in the Irvine area we have heard and if you are so inclined you might send your resume to them! Systems, Software, Platform, Project, Logistics, Field Service Engineers and even Financial Analysts… so we understand. Good Luck! Each year we offer readers the opportunity to get their show booth information out there for show goers to print out and take with them for easy reference. This year is no different. Not only did we get a plethora of responses, a couple of the vendors called us with news about their show offerings; we suspect in part, due to the the booming economic conditions. However, we hope to reward the callers’ enthusiasm with footnotes to their exhibit information. Product/Services: In 15 years Aircraft Cabin Systems (ACS) has grown to be the most respected manufacturer of IFE LCD monitors. We are committed to delivering the highest level of customer service, product support, and certification efforts. ACS offers LCD monitors ranging in size from 5.7” to 65” for any aircraft type. Product/Services: The aviation and IFE industry recognize that USB charging, specifically high-power USB charging, is necessary in order to keep passenger devices charged and available in the air. Astronics’ latest USB power supply provides enough power to charge 4 iPads simultaneously … while in use! The system delivers up to 2.1 Amps (configuration dependent) at +5 volts using aircraft 115AC power (360 Hz to 800 Hz AC) and is designed to the meet the latest aircraft OEM and regulatory requirements. Come see the latest product innovations from Astronics as you charge your devices at our latest charging station demonstration. Product/Services: digEcor provides the aerospace industry a low cost, turnkey in-flight entertainment solution by specializing in content sourcing and management, personal media platforms (PMPs), embedded systems, and end-to-end digital programs for the entire cabin. With years of experience, digEcor focuses on increasing traveler satisfaction, creating easily executed solutions, and generating revenue opportunities for clients. 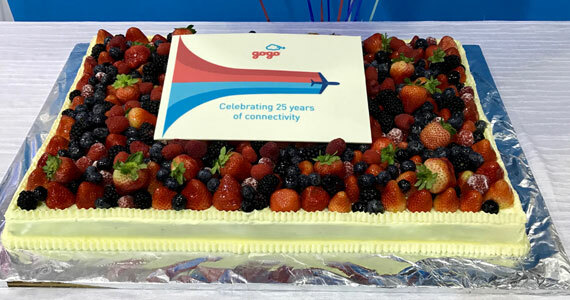 Product/Services: Gogo is the global leader of in-flight connectivity and a pioneer in wireless in-flight entertainment solutions. Using Gogo’s exclusive products and services, passengers with WiFi-enabled devices can get online on more than 1,900 Gogo equipped commercial aircraft. In-flight connectivity partners include American Airlines, Air Canada, AirTran Airways, Alaska Airlines, Delta Air Lines, Frontier Airlines, United Airlines, US Airways and Virgin America. In-flight entertainment partners include American Airlines, Delta Air Lines, Scoot and US Airways. Product/Services: Generate ancillary revenue with IFPL’s Contactless Retail System (CRS). IFPL has developed an in-seat payment system that takes advantage of the new NFC contactless Credit Cards for low value purchases. These let your passenger pay quickly and simply with their credit card for on-board transactions at their seat, eliminating the requirement for cash on-board. Contactless payment is enabled by Near Field Communication (NFC). CRS is easy to install with no in-seat wiring required. It will run for up to 24 months on the optional built- in battery, is easily configurable and can be used as part of an IFE or as a stand-alone system. Our CRS is great for your installation engineers, cabin crew and passengers. Simple installation allows easy upgrade of you EPoS system, quick order fulfilment and pleased passengers. The service level is customisable for the grade of seat and enables easy catalogue updates over Wi-Fi for special offers or to simply update food menu options. We look forward to working with you directly or with your EPoS retail partners. So whether you are a low cost or full service carrier, this CRS system will generate revenue for you. Product/Services: Inmarsat will be discussing GX Aviation, the only global Ka-band satellite network. Combined with SwiftBroadband, Inmarsat provides the most comprehensive inflight connectivity available. It is suitable for every type of aircraft, and is able to suit the needs of every airline. Product/Services: At this years APEX in Anaheim, KID will display their innovative cabin systems. The company’s product portfolio encompasses seat power, onboard connectivity and wireless content services, enabling passengers to use their own personal electronic devices while in the air as if on the ground. KID-Systeme supplies the world’s leading aircraft manufacturers, including Airbus, Boeing and Embraer. We are looking forward to welcoming you on our booth. Note: KID hinted to IFExpress that their booth may contain a new product -SKYfi… not to mention a new website coming soon as well. Sounds like a whole new plan game at KID. 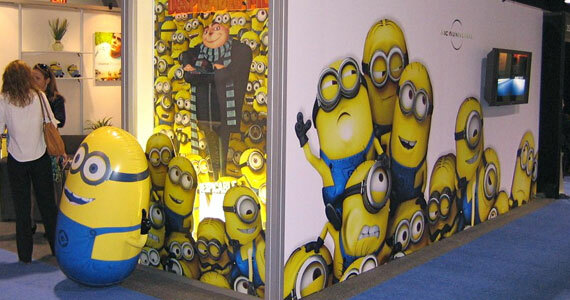 Product/Services: Lumexis®, supplier of the highly successful Fiber-To-The-Screen®(FTTS®) IFE system, introduces its FTTS Second Screen™ capability to APEX EXPO 2013. FTTS Second Screen combines the best of all passenger experiences by providing uninterrupted HD video entertainment on a passenger’s seatback, in-arm or bulkhead-mounted main screen FTTS monitor, while allowing them to use their own PEDs to wirelessly access moving maps, order food, buy duty-free goods, play games or use every application available on the platform. Product/Services: At APEX, OnAir will launch OnAirPlay, which is set to revolutionize the way airline passengers spend their time onboard by combining inflight connectivity with films, TV, live news, music, games, magazines and newspapers. Passengers will now have access to a full range of content including live news and sport, updated throughout the flight and can buy destination-based goods and services to ease their arrival. 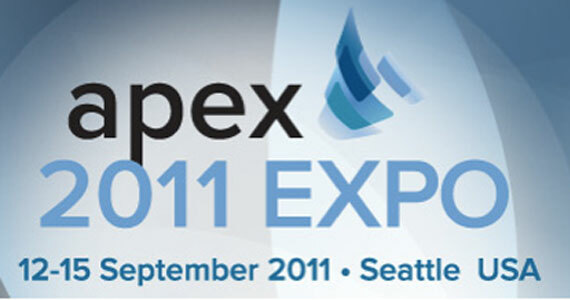 Product/Services: At the 2013 APEX Expo, Panasonic Avionics will demonstrate how IFE systems combined with broadband connectivity and technical services can positively impact key issues like competition, profitability, consolidation, managing costs and fuel prices, that airlines face every day. Product/Services: Rockwell Collins will be showcasing its latest innovations for cabin management and entertainment, including its PAVES On-demand and PAVES Broadcast IFE systems. The two solutions bring unprecedented reliability and versatility to single-aisle aircraft for keeping downtime to a minimum and allowing flexibility for the different mission needs of airlines. Also, Rockwell Collins’ industry-leading Airshow 3D Moving Map will be on exhibit, as well as its Venue HD cabin management and entertainment system for VIP aircraft. Product/Services: StoreBox InFlight provides the E+ System; a complete in flight, video on demand WiFi streaming program that is turnkey for airlines (hardware, installation, content, advertising sponsors, content refreshment) that provides passengers with 60+ hours of free entertainment; movies, TV shows, music, games, books, popular magazines, daily newspapers, daily news show, shopping from popular catalogs and destination based information and coupons. Note: New kin on the block, StoreBox InFlight, will be at APEX with news about their new E+SYSTEM Wi-Fi solution that promises no ongoing content charges for the airline adopting their low cost, light weight system. And yes, there are some high names involved. Product/Services: Delivering Innovation and Performance is the Thales theme for Apex 2013. With focus on Applications, Systems Flexibility, Connectivity and Future Innovations, Thales brings to APEX over 25 demonstrations for today and tomorrow. Come visit us! Product/Services: 1Net system demonstration showing ecommerce, advertising campaigns, usage statistics, and system integration for both wired and wireless systems. Stop by our booth, create your own advertising campaign, and your advertising artistry may win you a Samsung Galaxy Tablet! Note: Mark Thompson called us with the exuberance of Christmas kid… and I don’t blame him. 1Net is now connected to a cloud server and talks to the Flight Operations Cloud. A couple little secrets – you have to see their real-time, airborne, advertising, QR code generator and be sure to enter the make-your-own-advert-and-win-a-Galaxy contest. Such creative solutions… go there! 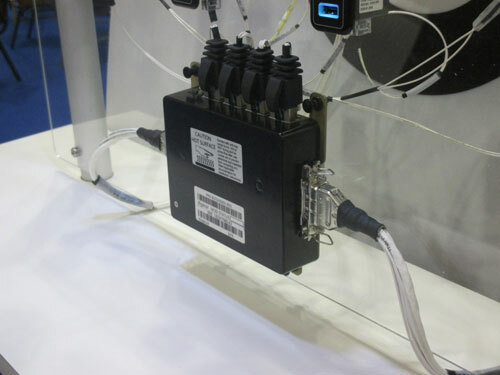 Product/Services: TriaGnoSys will discuss the development of its ‘one-box-wonder’, the small, lightweight GSMConneX. It is used to provide mobile phone and Wi-Fi connectivity, as well as for the wireless streaming on IFE content. Importantly, TriaGnoSys will be discussing the airline customers that already use GSMConneX, and the prospects for the coming year. Product/Services: Miltope’s family of network products offer the required functionality necessary to create custom airborne networks similar to how office networks are created. Our products optimize the combination of interfaces and computing resources to meet operational, spatial, and functional requirements of simple to complex airborne systems at minimum cost. Products include servers, Ethernet switches, wireless access points, TWLU aircraft to ground wireless bridging, ARINC 744 network printers and ARINC740 printer, control panels, and data storage devices. Product/Services: We are showcasing our latest developments of RAVE, the only IP-safe passenger-centric IFE system. System demonstration capabilities include business class and economy class integrated seats from Zodiac Aerospace. In addition, we have some new connectivity options that we are excited to discuss. From Down-Under To Up Here! Our big story is a recent interview with a busy David Withers, the new owner and CEO of digEcor, the folks who developed the digEplayer. IFExpress had a short chat with him and from our perspective; the Utah-based IFE company is going to be very much a worldwide operation. Mr. Withers comes to the IFE business with an aviation pedigree that includes: Qantas, Boeing, and TAS Brisbane, his own avionics company based in Australia. By building teams in the Americas, SE Asia (Singapore – Australia), and Europe (coming soon), he plans to focus on customer satisfaction and product development… especially for the narrow-body market. Remarked Mr. Withers, “Since some 65% of the aircraft market out there is single-aisle, and under 20% are equipped with IFE, we see our role in this segment as the perfect blend for both portable and embedded entertainment hardware solutions. Acquiring the digEcor assets and team then combining it with our existing business base has us poised to grow this business, especially with our focus on CRM (Customer Relationship Management). By understanding our customers better, our plan is not only to retain the existing customer base, but we will win new ones – it’s in our DNA and our business plan as we will continue the development of organizational structure to provide products that will take single-aisle entertainment to the next level.” David told IFExpress to invite APEX show-goers to stop by the digEcor Booth 1626 and meet some of the new team members and check out their next phase of growth. Stay tuned on this one, and we hope to have a developing story on the new digEcor soon. Editors note: Here are some related historical links we found on Mr. Withers and CRM. We also wanted to give our readers one last rundown of the busy IFEC show season that is upon us. First and foremost is the big deal show for InFlight Entertainment and Connectivity here in the US. The show is sponsored by APEX and there are three reasons to go. The first is the IFE vendors, most of who are headquartered in California and close to Anaheim. This is their home turf and where they bring out their big guns in the form of people, products, and parties. 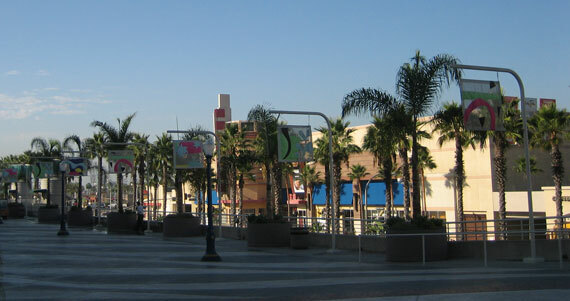 The second is the fact that the movie houses are firmly planted in Hollywood, 35 miles from Anaheim… you got the picture. 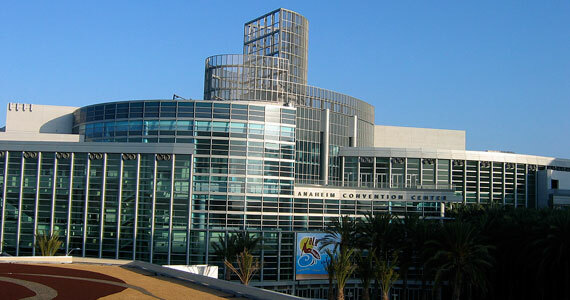 Lastly, IFSA (International Flight Services Association) is co-showing with APEX in Anaheim this year. We keep mentioning the delight of cruising the IFSA aisles and the wonderful food services job that vendors lay out to woo airlines. Take an hour or so to check out the latest food and delivery innovations… it’s almost as good as Wi-Fi. Editors Note: We want to advise our readers who will be participating in the forthcoming APEX Conference that next IFExpress issue will feature show-who-is-where information such as booth number and product description. The September 9 – 12 IFEC event is one of the major IFEC events of theyear so let our readers know where you will be located. We are happy to publish the following for you: Company name, Contact Name (phone, email, etc. ), Product(s)/Service(s) Description (brief please), and your Booth Number. See you there! The next not-to-miss event takes place in Seattle on October 1 – 3: the Aircraft Interiors EXPO Americas. This show has a new feature that we really like, The Seating and IFE Integration Symposium that runs on Tuesday October 1. We talked to a few folks participating and we expect a lot of in-seat power and cabin Wi-Fi issues to be on the table along with passenger seating which seems to be undergoing a great transformation in design and functionality. We are told the relative new Americas show is growing each year and now has over 100 vendors involved. IFExpress went last year and we were pretty impressed at how little we knew about the cabin that was not IFEC related. We strongly recommend this free show. Also, the AIEA has now collocated with the Composites World Show and this may be quite interesting as interior vendors are being driven by the OEM’s to deliver lighter composite cabin interior solutions. 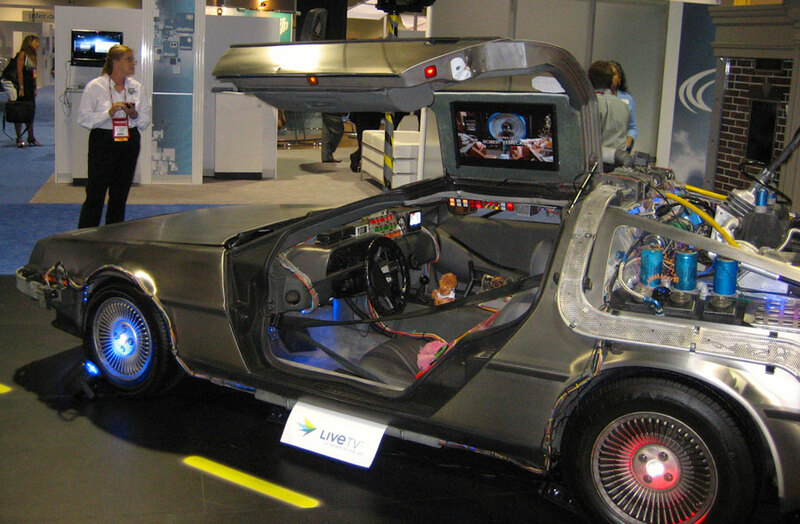 If you just have to go to Las Vegas, The Future Travel Experience Show will be found at Mandalay Bay September 4 – 6. FTE is an “Out-There” show that likes to headline some of the newest ideas in flying travel like the latest industry focus “On the Ground” and “Up in the Air” developments. Check out their website and don’t tell the boss it’s in Las Vegas. In case you didn’t see the latest news from Lumexis and you can read it here. Be advised, there is soon going to be a new kid on the Boeing B737-800/900 offerability block. We reckon that there has been a lot of talk from airlines wanting to purchase the Lumexis FTTS system if it is installed on the airplane assembly line (not retrofit later) from customers that will be receiving their B737’s in the forthcoming years. It’s not inexpensive but the business prospects are probably daunting. Editors Note: Be prepared for a different OEM offerability deal with an IFE vendor, but this time with Airbus! IFExpress is probably never going to get caught up from the AIX fun in Hamburg but don’t tell us we didn’t try. Here is a news release from the then portable IFE supplier digEcor (with some 13,000 L7 portables sold) – who now has an installed IFE system called GLIDE. Here is their release: “Inflight entertainment leader digEcor, Inc. is excited to announce the recent signing of a deal to deliver their all new embedded inflight entertainment system, dubbed GLIDE IFE, to US charter carrier Air Transport International (ATI). Slated to launch on ATI’s fleet of Boeing 757 passenger-freighter Combi aircraft, digEcor is also providing an exciting lineup of digital entertainment options including Hollywood blockbusters and classics, the latest music and videos, and a suite of entertaining games. “We are excited to be the launch partner with digEcor and be the first to have the GLIDE IFE system,” said ATI President Dennis Manibusan. “We shopped around for an embedded system, and the GLIDE IFE system met all of our immediate needs in terms of cost, reliability, unctionality and providing a high level of passenger entertainment.” DigEcor’s Sales and Marketing Director Ben Fuller commented, “We’re more commonly known in the IFE industry as the portable provider and we’re thrilled to show our continued product diversity with our embedded GLIDE IFE. We’re honored to have ATI as our launch partner and we’re committed to their success moving forward.”For more information on GLIDE IFE or content services provided by digEcor, visit us online at www.digEcor.com.” We note that Ben told IFExpress that, “We finally found the right partner,” and we have it on authority that they have had a loot meetings with an Australian company. Here is a three seat group and a system block diagram. The digEcor folks told IFExpress that their progression from portable to imbedded was a logical growth step which is a path others have followed. In their case, the system looses a battery and docking station and inserts a Konotron server and WAP for the streaming solution. We note that they have an optional SSD memory and they tell us that more, bigger screen sizes are coming. The company is targeting the regional air line market, one that has a lot of growth potential. Said Ben, “We want to be a complete customer service provider.” That about says it all. Meet Kevin Rogers, AeroMoblle’s new CEO. He has been with the company for 5 years but was originally from Telenor in the Regulations and Roaming business. If you remember, Telenor is based in Norway but Kevin is now back in the UK and we hear Pal Bjordal is going back to Norway. Kevin told IFExpress that the AeroMobile focus is to get more telephony on aircraft as the demand for voice, text (and email, for that matter) is booming. If you remember, AeroMobile is part of the Panasonic Global Communications Suite – AeroMobile provides the mobile phone part (biggest demand) while Panasonic builds the hardware for their platform residence. It makes sense because this way, Panasonic can provide the total solution – they provide the Wi-Fi and AeroMobile the phone. With phones, the billing and usage are clean and clearly understood, after all, inflight phone charges go directly to you phone bill – no airline collections, not to mention the lack of onboard hassle. No wonder everybody likes existing billing systems! “The airlines really have a choice as do the passengers,”noted Rogers, “as the phone solution provides a pretty low bandwidth solution, and if they want to use Facebook on their iPads or laptops, Wi-fi is also available.” The airlines want the passenger to have options and they offer both, and by in large, they install GSM and Wi-Fi.” Mr. Rogers also made it quite clear that the full connectivity solution, Wi-Fi, is fine for tho data geeks but the mobile phone user has voice, text and light Internet data so if you only have a mobile phone, connectivity is within the passenger’s reach. Kevin also pointed out that data roaming prices are coming down and he expects that it will reach the point whereby it is not considered a “premium service”. Certainly, IFExpress see’s the value of competition here and the tremendous traffic growth seen might be some indication of that fact. Further, they have launched a new website that now features B-to-C focus differing from the previous one that was more B-to-B. At the show AeroMobile announced a new Aer Lingus contract and Kevin expects five new customers this year with total airplane installations doubling. If you are a fan of real-time, airline, flight tracking radars, we have a couple links for your viewing enjoyment: flightradar24 and radarbox24. Both websites place aircraft flights superimposed over your favorite location – US and Europe are amazing. China, on the other hand, looks devoid of air traffic but we know that is not true. We would like to hear from an air traffic genius as to why that is? We will let you know what we hear. 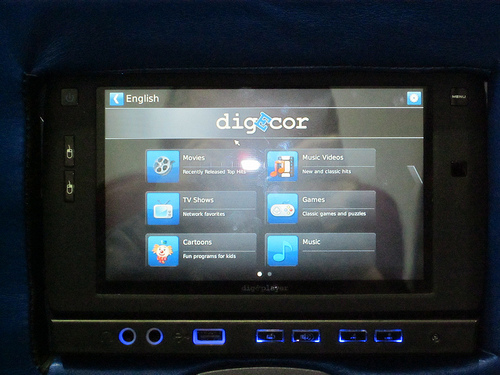 Springville, Utah | April 2013– Inflight entertainment leader digEcor, Inc. is excited to announce the recent signing of a deal to deliver their all new embedded inflight entertainment system, dubbed GLIDE IFE, to US charter carrier Air Transport International (ATI). Slated to launch on ATI’s fleet of Boeing 757 passenger-freighter Combi aircraft, digEcor is also providing an exciting lineup of digital entertainment options including Hollywood blockbusters and classics, the latest music and videos, and a suite of entertaining games. 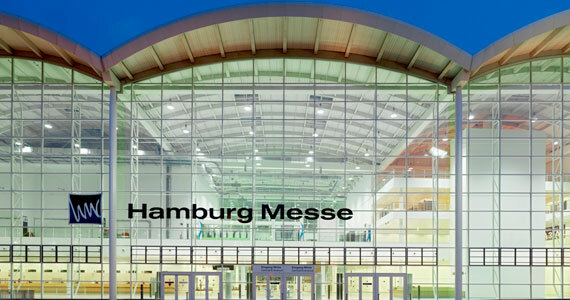 For more information on GLIDE IFE or content services provided by digEcor, visit representatives at booth #6D39 at the AIX event in Hamburg or find digEcor online at www.digEcor.com. ACS will be debuting our new overhead retractable monitors in 9.7” and 12” sizes. The new ACS retractable monitors are a direct replacement for the existing retractable systems for A320 aircraft. Considering the frequency of removals and high cost of repairs to the old systems, making the switch is easy. ACS’ patented design allows us to offer a 50,000 operational cycle guarantee and a 5 year warranty. Come see the latest innovations from Astronics in power conversion, intelligent power management, and distribution to passenger devices and IFE. Also included are the other Astronics divisions including aircraft lighting products, safety devices, aircraft interface devices, and test equipment. 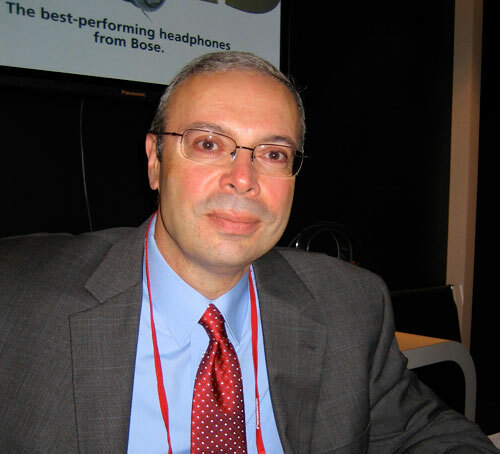 Products at show: Bose will demonstrate the QuietComfort® 15 Acoustic Noise Cancelling® headphone and the A20® Aviation headset at its stand. 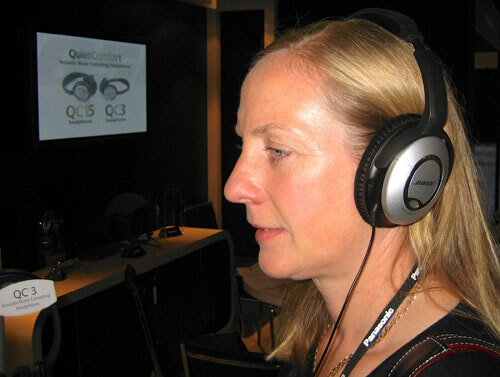 The QuietComfort 15 is the best performing noise reduction headphone ever from Bose. The A20 Aviation headset is an active noise reduction, communication headset for the cockpit and offers an unmatched combination of noise reduction, clear communication and comfort. At the digEcor booth this year we’re excited to be launching our all-new low cost GLIDE IFE embedded system, a tape replacement solution, and our newest portable tablet dubbed the digEtab featuring the Samsung Tab 2 10.1. We’ll continue to tout our content services as well as introduce the industry to our new media management system. Being known as the traditonal portable IFE provider, we’re effectively evolving into a one-stop shop for all IFE needs and that will be on full display in Hamburg. Gogo will be showcasing its latest developments in global satellite technologies as well as focusing on its ground breaking wireless products including: Gogo Vision – Gogo’s wireless IFE solution; and Text and Talk – Gogo’s new text messaging and voice product. Gogo is a global leader of in-flight connectivity and a pioneer in wireless in-flight digital entertainment solutions. Using Gogo’s exclusive products and services, passengers with Wi-Fi enabled devices can get online on more than 1,800 Gogo equipped commercial aircraft. In-flight connectivity partners include American Airlines, Air Canada, AirTran Airways, Alaska Airlines, Delta Air Lines, Frontier Airlines, United Airlines, US Airways and Virgin America. In-flight entertainment partners include American Airlines, Delta Air Lines, Scoot and US Airways. We have brought airlines the hardware to enable the payment system of the future. Our Near Field Communication in-flight payment technology eases payment and therefore increases airline’s ancillary revenue generation. In addition, it can provide destination e-vouchers to the passenger so not only Improves the passenger experience, but also the operator’s revenue. We also have other innovative products that the pioneering team at IFPL have developed; our brilliant Breakaway jack has no moving parts, offering minimized headphone operating cost for these cost-critical times; and our maintenance saving / time saving Self-Testing jack – we don’t need to tell you that if you are saving time you are also saving money! KID-Systeme GmbH, a hundred percent Airbus subsidiary, is well established in the industry since 1999. Focused on cabin electronic systems, KID started their business with their innovative In Seat Power Supply System. With a permanent development of its product portfolio KID is able to offer complete cabin system solutions in the field of Connectivity, such as mobile telephony and Internet access on board with the passengers own devices and In Seat Power. KID-Systeme GmbH is still on the cutting edge of the industry and is able to install their products in every type of passenger aircraft. 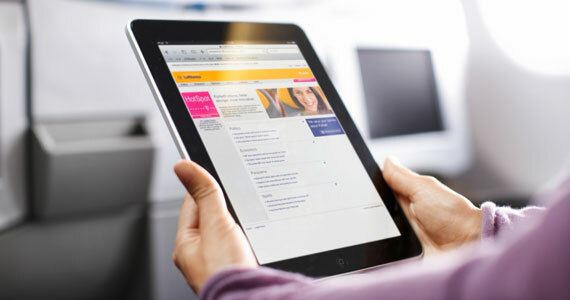 Lufthansa Systems adds new functionalities to its wireless IFE system BoardConnect. For the first time the new features were presented at the AIX 2013. In addition to accessing on-demand audio and video as well as information about their destination, passengers can now read electronic magazines by using the eReader functionality of BoardConnect. System maintenance will be further improved through the use of a so-called maintenance front-end. Unlike conventional in-flight entertainment systems, BoardConnect does not require any complicated wiring for each seat. Instead, it works with a regular WLAN based on the established WiFi standard, meaning that just a few access points need to be installed in the cabin. This makes it possible for the first time to offer passengers an extensive range of information and entertainment on short- and medium-haul aircraft such as the Airbus A320 family and the Boeing 737. Since BoardConnect is lighter than conventional IFE systems, airlines can also achieve considerable fuel savings with it. Lumexis will be demonstrating the leading-edge FTTS® system with its next-generation seat displays, and will be introducing its highly advanced FTTS Second Screen™. As well as issuing a number of stories about new customers and extensions of existing customer agreements, OnAir will be talking about the Connected Aircraft 3.0. This is the next stage in the development of the connectivity market, building from passenger communications to incorporate cabin crew and cockpit applications which will help streamline airline operations. At this year’s Aircraft Interiors Expo, Panasonic Avionics will showcase ways to amplify your brand, foster passenger loyalty, and generate more revenue. Check out our latest designs that deliver smaller, lighter systems, and witness firsthand how we are building business platform solutions that deliver more opportunities for you and your passengers. Key Booth highlights: Thales will feature several new seat configurations with production TopSeries AVANT® equipment. Key announcements focus on three new partnerships tied to connectivity and advanced system applications. Innovations cover an end-to-end, home to hotel, connected passenger experience, and a first time ever shown, immersive seat that embraces more futuristic capabilities designed around passenger comfort. Come visit! Thompson Aerospace will be showcasing their 1Net product. 1Net provides an Intelligent Aircraft for a Connected World, Accelerating Business Innovation for Airlines. The key aspect is Cabin Marketplace Enabler, to allow Airlines to monetize the passenger experience. 1Net provides the same levels of passenger satisfaction and revenues as the Internet. TriaGnoSys will be launching AeroConneX+. It is the latest in the company’s series of connectivity hardware solutions. It builds on the highly successful GSMConneX solution, that provides both GSM and Wi-Fi in a single box, enabling service providers to extend the connectivity solutions they provide passengers, as well as to cockpit and cabin crew. It also has the potential to incorporate machine-to-machine communications to make the maintenance process more efficient. On Display: In addition to printers, servers, and Ethernet switches, VT Miltope will be exhibiting the latest in wireless products featuring developments of a cellular + Wi-Fi™ ground link (product: cTWLU) and an IEEE 802.11ac wireless access point (product: nMAP2). Zodiac In-flight Entertainment (formerly The IMS Company) has provided innovative solutions for the aviation industry for over 17 years. RAVE (winner of the 2011 Crystal Cabin Award) is on display and provides the latest innovation for Audio/Video On Demand (AVOD). Our (patented) seat-centric system architecture provides for a simple installation and operation, and the highest reliability of any in-seat design. The system is fully certified and flying today on over 30 aircraft providing state-of-the art features, as well as a system that is about one-half the weight, power and price of the traditional IFE systems available today. Springville, Utah | March 25, 2013– With the annual Aircraft Interiors Expo right around the corner, handheld in-flight entertainment leader digEcor, Inc. is enthusiastic to announce the recent launch of the digEplayer L7 on Dutch air carrier ArkeFly. Launching on ArkeFly’s fleet of 737’s and 767’s, digEcor is also providing content services, which will include integration of the newest Hollywood blockbusters and classics, music and videos from an eclectic mix of artists, and a suite of entertaining games. Passengers on flights between Amsterdam and various favored holiday sites including those around the Caribbean and Mediterranean will be able to enjoy over 75 hours of on-demand entertainment. For more information on the digEplayer or content services provided by digEcor, visit representatives at booth #6D39 at the AIX event in Hamburg or find digEcor online at www.digEcor.com. IFExpress contacted digEcor last week to get a copy of their annual passenger survey which seems to track the trends in inflight entertainment and connectivity we have come to know and love so well. Now in its third year of publication, the 2012 survey of airline passengers that hail from around the globe queried everything from road warriors to once-a-year casual fliers… and everyone in between. The study/report provides relevant and up-to-date information for free to our industry and you might want to get your own copy. With multiple years of data presented, the results compared over three years show a number of intriguing industry trends that will help airlines make better strategic decisions about their IFE&C programs, not to mention the IFE managers who must decide hardware and software solutions. For sometime now, IFExpress has wondered just how important those first run titles are and digEcor might be on to something here. One guess might be in the grey area that says – Any video/movie is better than no video on a flight, and first run movies are preferred over any video. So the question is: Where does watching preference fit in the scheme of things like ticket price, destination routing, airline preference, schedule, and seat selection – especially if the freely provided entertainment is not announced prior to ticket purchase. There is a value expectation when traveling in First or Business classes, but for the rest of us… forget it. Honestly, the IFExpress team never considers inflight programming in the ticket decision-making process, never. If we want a specific flight video solution, we bring it on our iPhone or iPad and we think a lot of our readers do as well! The 38 page 2012 Passenger Survey Report is available as a free download at www.digEcor.com/2012pax. digEcor provides the aerospace industry a low cost, turnkey in-flight entertainment solution by specializing in content sourcing and management, personal media platforms (PMPs), and end-to-end programs. With years of experience, digEcor focuses on increasing traveler satisfaction, creating easily executed solutions, and generating revenue opportunities for clients. Founded in 2000, digEcor is based in Springville, Utah, with additional offices in Seattle, Amsterdam, and Toulouse, France. For more information, visit www.digEcor.com or call 1-801-489-2022. Springville, Utah | June 20, 2012 — With a background in game design, product development and sales, Ben Fuller has joined the digEcor team as the new Director of Sales for Central and South America. Fuller will also be involved in global business, product and marketing development. Fuller spent two years in Mexico City when his employer, International Game Technology, ventured into Mexico for the first time. He was responsible for directing operations, product management and sales. Ben Fuller can be contacted at bfuller@digEcor.com or 1-801-489-2031. Springville, Utah | March 28, 2012– digEcor has secured a second digEplayer L10 client – Kenya Airways (KQ). Launching in early June, passengers on KQ’s B767 flying to Paris, London, Rome, Dubai, Bangkok, Mumbai and other destinations will enjoy digEcor’s newest and premium entertainment solution. Kenya Airways was an early and staunch digEcor customer from 2005 to 2010 and flew the award winning digEplayer 5500. After a brief gap, KQ is returning to digEcor with this new launch. 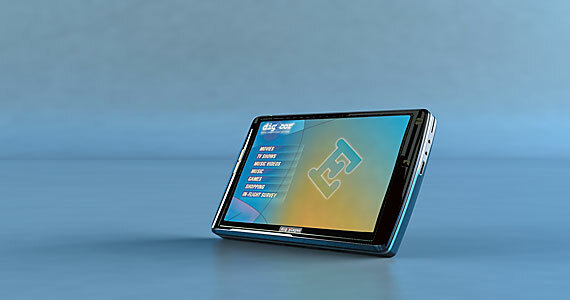 The L10, a handheld IFE device, offers an 18+ hour battery, 10 inch screen, Gigabit Ethernet port for fast content loads and a capacitive touch screen. Using the dedicated content update station, 80 L10s can be simultaneously loaded with new content from a single server. The digEplayer L10 is also DO-160 emissions compliant. To accommodate KQ’s passenger diversity on the various routes flown by their B767, the movie selection will include Hollywood, Hindi and African movies, in addition to television programming, music, music videos and games. The L10 will be offered for free to Business Class passengers. “Why invent a solution when one already exists? The digEplayer 5500 worked so well for KQ that we are confident that the new digEplayer L10 will perform even better,” commented Owino Obonyo, Manager of Services Procurement for Kenya Airways. “We are very excited to welcome Kenya Airways back to the digEcor family of customers and look forward to serving ‘The Pride of Africa,’” added digEcor Marketing Director Adam Williams. For more information about the digEplayer, please visit www.digecor.com. Firstly, thank you vendors for your valuable time at the show. As we noted last week, because of space limitations we can only summarize; however, IFExpress plans to devote complete Hot Topic subjects on some of the big deals in the upcoming months. We also note that IFExpress planned to dedicated two issues for APEX summaries. Wrong! We now need three and the third is to come next week. 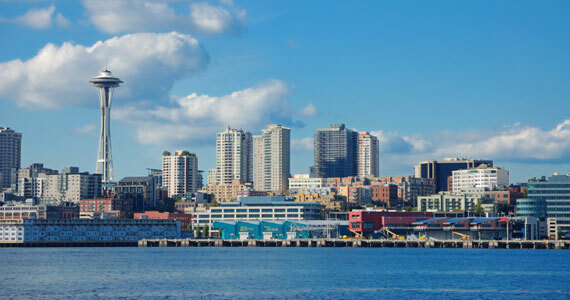 APEX reports 2300 delegates and 73 airlines in attendance while most visitors enjoyed good, but unusual, Seattle weather. We again note that many show images are available by clicking the show image in this newsletter (to the right) and on the IFExpress/AIRFAX.com website. Once again Geoff Underwood and his IFPL team knocked our collective socks off with 3 prototypes for new products: a near field communication (NFC) initiative (and eventual product) that permits chip-powered credit card sales (PIN enabled) via a swipe and a keypad. He demonstrated an ingenious Self Testing Audio Jack with built-in audio test via small LED – simply send out the correct tone and the light gives a go/no-go visual indication (BTW, no seat power required and the jack is no bigger that a standard jack). Hey, one person can check out a plane’s worth of audio with a walk down the aisle! Lastly, we should mention their 3 part breakaway audio jack. That’s right, 3 parts!Lower cost and no broken audio plugs – patent in works. PlaneBill‘s Massimo DeSanctis, the App man has 18 apps now, one each for Apple iOS, Android, and Windows 7. We hear he is working on apps for WebOS and Blackberry as well. Check out the link for the list or www.planebill.com. Why not have him build or customize one for you! Goodrich‘s Al McGowan told IFExpress they are planning bigger IFE packages for their customers, mostly with a retrofit focus. Interestingly, we expect new products as they cross pollinate with their Military technologies and other business elements. And, don’t forget the GA market as Goodrich has purchased Audio International. digEcor continues to promote their L7 portable and are looking toward more solid state memory for increased functionality. Two bits of info: 1. Alaska does NOT report lower uptakes rates with Gogo onboard, and 2. We can’t tell you about their long term initiatives but one looks very cool. Adam Williams sent us his Tweet analysis of the APEX event and we think you Social Marketing followers will appreciate the results. Adam (and others) are on the leading edge of the next marketing revolution. And speaking of Gogo (Shouldn’t that be Go-Go? ), we spoke with Fran Phillips, Mary Rogozinski, and Steve Nolan who note that they see Ka as their potential answer to future satcom-based streaming entertainment. Further, their ATG4 upgrade will provide enough interim growth bandwidth with A/C antenna changes and small ground station mods. But what really caught our fancy was a very passenger friendly new feature called “Resumption of Play”. This is great new attribute that allows Gogo users to see the portion of the paid entertainment they missed because of, for example, landing. Use a code, plug it into their website and voila, you have not missed that great part in “When Harry Met Sally”! Don’t remember? – YouTube it! The Astronics folks now have the USB inset power product in production and deliveries and installations are happening as we write. We should probably note another Astronics accomplishment – Teatro ZinZanni. We don’t normally mention vendor events but this one was a deal breaker for us. Described as “Love, Chaos, and Dinner”, this Seattle dinner theatre was the setting for the Astronics party. The venue’s website notes a description for the show there as “Kit Kat Klub on acid”, however, that is mild for the madness that ensued – we think they served dinner too but we don’t remember? Singers, musicians, transvestites, tumblers, acrobats, and who knows what else, the place (and event) was a hoot. We have saved the best for last but you will have to check out the Industry Good Sport of the Year via this link…and we ain’t kidding! Nice job everybody. Rumor has it that the reason Inflight Canada missed the show is because they are finalizing a big deal new product – Stay Tuned. Each year, for the last umpteen years, IFExpress has delivered readers a show preview based on a published invitation to all. This year is no different and we urge all attendees to be sure to visit their booth and tell them IFExpress sent you! Astronics AES will be displaying their latest product addition to the world leading EmPower(R) In-Seat Power Systems (ISPS) product line. 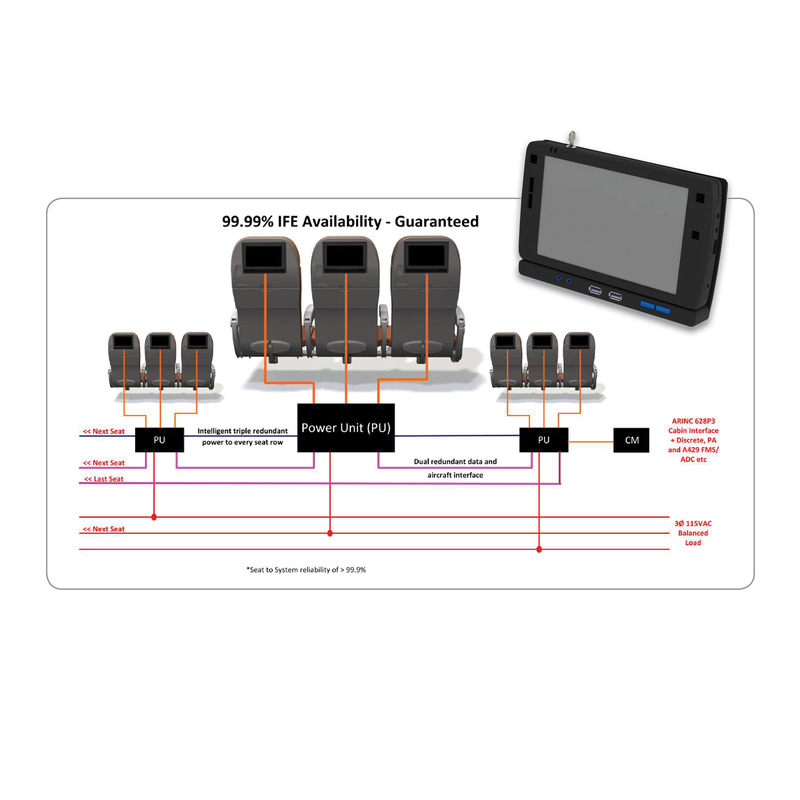 The new EmPower(R) In-Seat Power Supply produces an industry leading 200VA for each Personal Electronic Device (PED) and includes three Universal Serial Bus (USB) power outputs for passenger devices such as smart phones, iPods, cameras, and other standard +5 Volt DC devices. This is all accomplished in a smaller form factor than previous generations of the industry leading EmPower(R) product line. Goodrich digital video reproducers (VRUs) are a cost-effective way to update existing tape systems for an enhanced passenger entertainment experience. Be certain to stop by and visit us during APEX. IFPL has developed an interface between NFC and IFE systems. This takes the mobile wallet concept onto aircraft and addresses the security issues of high value payments. The system on show can be used in a number of ways: as chip and pin; with NFC enabled ‘connect’ cards and with NFC enabled mobile ‘phones. This opens up a range of possibilities from renting movies, buying drinks and food and accessing destination information (i.e. increasing advertising revenue). Currently airline maintenance personnel have to plug a headset into each audio jack to check it is receiving sound. This is time consuming and therefore costly and inefficient in short turnaround times. The self-testing jack has an LED that shows it is receiving a signal, meaning that all personnel have to do is play the IFE and walk through the cabin, spotting faulty jacks at a glance. The really clever thing about this jack is that is does not need any extra power to the seat to work, the light draws power from the audio signal. IFPL’s highly reliable Long Life jack (tested to 100,000 insertions) has been developed to have a 90˚ pull out feature. This means that if a passenger stands up without removing their headset, it will pull away at any angle, without breaking the pin. IFPL has worked with headset suppliers to produce headsets with a smaller pin at the same cost as regular headsets. The breakaway jack will still accept a regular pin if necessary. IFPL see this as a low cost alternative to magnetic jacks. As usual, IFPL will be holding a simple competition on their booth. The prize is a Nikon Coolpix digital projector camera. This neat little camera allows immediate projection of your photos onto any flat white surface. We’re pleased to announce that IFPL will be showcasing an extra product at the APEX show next week! The “Self Testing Audio Jack” is a neat solution to a common problem. Maintenance personnel have to walk the aircraft with a headset and plug it in to each audio jack at every seat to check that the audio is working. This is a time consuming job, and often means that seats don’t always get tested before a turnaround. Our new product is simple – it has a built-in LED that illuminates when audio is present. A quick scan of the seats tells you whether the jacks are working or not. This means you can go straight to any faulty jacks without wasting time checking every one manually. This simple device will improve IFE Availability and save airlines time and money. The really clever part is that this device doesn’t require power, or batteries – it runs off the audio supply! So, if you want to retrofit an old IFE system without power at the seat, it couldn’t be easier. Just another reason to come and see us on booth 819 during the APEX show. Hope to see you this week! 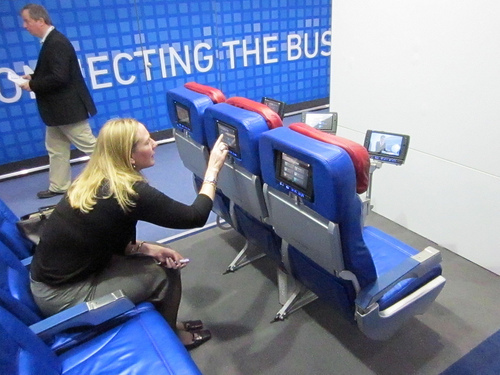 Building up a head of steam at last spring’s Aircraft Interiors Expo (AIX), seat-centric IFE has become a juggernaut and none more so than The IMS Company’s RAVE™ with a backlog of more than 50 aircraft awaiting installation in 2011. If all of the options these orders are activated, the number of aircraft more than doubles. With Lufthansa, airberlin, SriLankan and Brussels Airlines onboard, additional announcements are expected at the Conference—bringing the total to seven or more. But seat-centric IFE is not all that IMS is up to nowadays. Its new EDGE portables focus on Android OS as a platform that can support multiple versions of tablets. Look for announcements during the Conference. Contact: Please stop by the Panasonic booth to arrange a tour or set up an appointment. 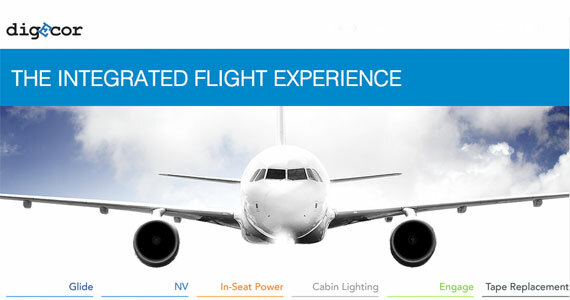 PANASONIC AVIONICS HIGHLIGHTS: At this year’s APEX Expo, Panasonic Avionics Corporation will be unveiling the three newest members of its X Series family. During the show, attendees are also invited to stop by the Panasonic booth for a chance to ask our eXPerts questions about the most exciting topics in IFEC today including seat centric vs. server-based architectures, Ka vs. Ku, and more. In addition, we are pleased to once again showcase our Cool Room where we’ll demonstrate how some of the most cutting-edge products in the consumer market can be applied to IFEC. On board portals for passengers (JetPortal) and for crew (CrewPortal). PlaneApps for the emerging mobile platforms, Apple iOS, Google Android, Microsoft/Nokia Windows Phone 7, RIM QNX. Apps for smartphones (iPhone/iPod/iPad, Android phones and windows phone 7) and tablets (iPad, Android tablets) will be on show. Before flight data crawler (DataCatering) for flight location based Services (origin/destination). Data mining to provide airline with useful information captured during flight on passengers devices,services, messages, behavior and feedback PlaneRoaming for reaching passengers on their mobile number without a cellular infrastructure. Rockwell Collins plans to unveil a new IFE solution for the single-aisle market tomorrow at APEX that will deliver unprecedented versatility for airlines and maximum reliability for passengers. The company also plans to announce stunning enhancements to its dPAVES IFE system, and a new entertainment solution for the regional jet market. Stop by Rockwell Collins’ exhibit to learn more about these new offerings and solutions to enhance the passenger experience. THALES HIGHLIGHTS: CONNECT, NETWORK, PLAY is the Thales theme this year with focus on the Passenger Experience. Thales will be making significant announcements around in the air and on the ground wireless connectivity. Center stage will be the latest addition to the TopSeries product family, TopSeries AVANT. Installed into a new premium class Contour seat, TopSeries AVANT will include some future system navigation and audio concepts. Other demos include system integration into B/E Aerospace, Weber and Recaro economy seats. In the B/E Seat is a new innovative arm mount designed by Bucher. The up and coming new Thales Application Portal will be featured as well as future modules for Passenger Electronic Device interface capabilities. TriaGnoSys and Siemens CMT have today launched IFEConneX, a complete inflight entertainment and communication (IFEC) solution. It incorporates an entertainment and media distribution system into the TriaGnoSys inflight GSM solution, GSMConneX, which was launched at Aircraft Interiors in April 2011. The lightweight modular system provides three services: GSM, WLAN and wireless streaming of IFE content, enabling business jet operators to combine the three services. IFEConneX enables passengers to use their own mobile phone, tablet or laptop for calls, text messaging, emails, Internet connectivity, and for Audio and Video On Demand (AVOD). The solution has the capacity to stream individual content to up to 100 passengers simultaneously. Miltope’s family of network products offer the required functionality necessary to create custom airborne networks similar to how office networks are created. Designed to be readily expanded, they may be configured to define a network that optimizes the combination of interfaces and computing resources to meet the operational, spatial, and functional requirements of simple to complex airborne networks at a minimum cost. Products include servers, Ethernet switches and routers, 802.11 a/b/g/n wireless access points, TWLU wireless bridging from an aircraft LAN to a ground LAN, ARINC 744 network printers and ARINC740 cockpit printer, cabin control panels, and data storage devices. The objective of this article is to provide our readers a better perspective on portable IFE. To get the ball rolling, we gave a few questions to the affable Adam Williams of digEcor. What is the current state of the portable IFE market? The IFE industry has changed quite a bit over the last several years. Traditional systems are becoming more sophisticated and lighter. Connectivity emerged, died and is making a strong come back. And new seat centric systems are creating a lot of buzz. Portable IFE is moving right along with the market. We are experiencing evolutions in technology (in part driven by consumer electronics) and continuing to fill a large need that seat back systems do not fill due to cost, age of aircraft, and the needs of specific routes. Of the approximately 13,500 commercial aircraft in service today, only about 6,000 are being serviced by traditional systems. In the last 12 months, we have literally sold 1,000’s of digEplayer L7’s. That didn’t happen because our market is softening. What future developments might impact the portable IFE market? With connectivity in the picture, you have to wonder if IFE, handheld or otherwise, still makes sense. To date, the data shows that connectivity uptake rates remain low. What connectivity does offer though, is the ability to increase the functionality and profitability of a handheld offering. For example, you can now transact in real time (15% of flyers get on a plane hoping to rent a car once they land) and serve targeted advertisements. So coupling connectivity with a handheld system strengthens the offering to passengers. Are there any new software products for the portable IFE market? Consumer operating systems, such as Android, are seeing some penetration in concept, but no one is flying it yet. Most new software products are in the form of applications that enhance the functionality of the device and ancillary revenue opportunities (such as shopping, destination guides, etc). How important is connectivity to the portable IFE market? Connectivity is a big opportunity to bring new applications and revenue streams to portable devices. The connection is an enabler, not the detractor some feared. What software products are most used on portable IFE and do you see a change in the near future (ie games, movies, email)? I think a lot of us in the industry love thinking outside of the box and creating new applications and services. Though our experience shows that the number one thing people want to do with IFE is just watch movies. It’s like buying a smartphone these days. When my wife and I got ours last Fall, we looked at all of the cool features and applications that we can download. Though we had to stop and evaluate each device on one core question – how easy is it to make a phone call? We walked away from some phones because making a phone call wasn’t easy. IFE should first and foremost make watching a high-quality movie easy. 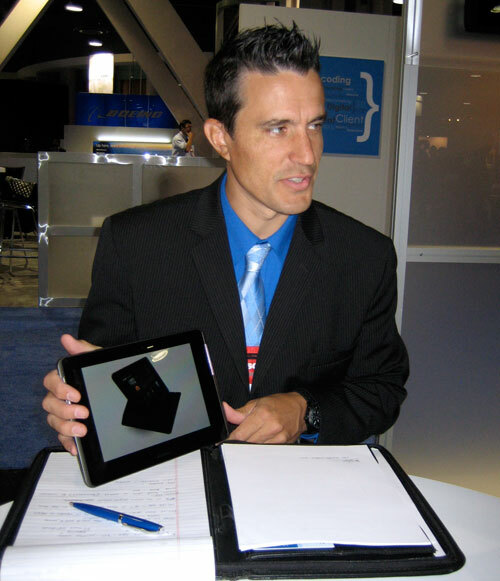 Does portable IFE have a bright future and if so why, if not, why? Admittedly, there is a lot of innovation and shifting going on in the market today. However, portables are designed to address specific market needs. Those needs, like IFE in business class on just a select few routes, are not going away in the foreseeable future. So portables will continue to have a place in the market. What do airlines think about the programming, charging, and managing portable handout? Is this about to change? There are obviously logistical needs that are unique to portables. Changing content, charging batteries, and cleaning players has an operational impact, just as would the introduction of any other system to an aircraft. Fortunately, we have years of experience in managing this process. So we are able to limit that impact by working with the airline and airline partners. Also, we are constantly working to make these processes faster and easier. What is the impact to portable IFE fostered by the rise in handheld tablets? Handheld tablets have three direct impacts on portable IFE. First, they are setting a standard and passenger expectation. Second, IFE providers have to consider the popularity and developer support communities that exist around consumer operating systems and applications. And third, tablets are replacing portable IFE in some situations (e.g. American Airlines). The buzz around tablet devices is a strong enticer. Our experience with airlines is that there is interest from a an airline marketing standpoint but the operational inefficiencies from tablet PCs usually dissuade airlines. However, there will always be the American Airlines and Jetstars of the world that want to take on those issues hoping for a return in other areas. And I understand and respect that decision. So we, as IFE providers, simply need to be ready to help address the issues that tablets inherently bring with them. Lastly, on a mostly unrelated topic: Our old friend Neil Morgan is looking for a new challenge. Anyone seeking an experienced IFE Sales and Marketing man should contact him on neilmorgan1@compuserve.com. SPRINGVILLE, Utah February 17, 2010 – Hawaiian Airlines signed a new four year contract extension with leading handheld inflight entertainment provider digEcor, Inc. Since 2004, Hawaiian passengers have enjoyed the digEplayer 5500. Starting in the next few months, passengers will be able to rent the digEplayer XLP. The first phase of the new agreement includes the replacement of approximately half of Hawaiian’s current digEplayer 5500 inventory, with the remaining stock being replaced in phase two. Also, the digEplayer XLPs will be initially offered on longer, premium routes. “With the downturn in the marketplace, we have taken the opportunity to engineer new product offerings and build flexible content applications focused on the financial and logistical needs of our customers and the airline industry,” observed Heckel. One of the bigger surprises at this year’s WAEA Conference in Palm Springs was the alliance between digEcor and Shanghai Lefeel Media Technology Co., Ltd. The result of this collaboration is a series of new handheld product offerings: 7” and 10” touch screen entertainment units and new services to go along with them. Boasting up to 20 hours of battery life the players should see service introduction in 2010. The contractual partnership between digEcor and Lefeel also includes a curser-driven, new-player development project. A curser-based unit has been a concept that Brent Wood of digEcor has envisioned for a number of years now. digEcor and Lefeel have also partnered with other entities in the development of these new products. “We have made the process of consulting with airlines, flight attendants, and passengers alike a high priority in our product development. We appreciate the help of our airline partners that provided valuable feedback during various steps,” said digEcor President Brad Heckel. On the services front, digEcor plans to make inflight shopping a reality on a major carrier in December. They noted that the ancillary revenue to be gained from purchases is very important to their airline partners. Furthermore, a banner-type advertising service will be implemented, as well as, gaming and gambling applications, similar to what is available on the Internet today. Not solely focused on the aircraft, the digEcor people have hinted at developing other ground-based airline applications. A surprise announcement also included the unveiling of a new PMA-based service from digEcor. The company has garnered FAA approval to offer PMA repair for other IFE vendor hardware. We think this might be a first in our industry! From our perspective this is a new marketing posture from digEcor, not only are they expanding their service base but they are branching out to include higher value, new technology products and applications and in the process are developing new markets for their services. The IFExpress team came away from the WAEA feeling that we saw a new and evolving digEcor.